The Prophet ﷺ performed Hajjat al-Wida (Arabic: حجة الوداع; “The Farewell Pilgrimage”), his first and only Hajj, in the year 10 AH (632 CE). Realising that it would be his last, he set forth a model for the ceremony which pilgrims of future generations could follow, documented in detail in Hadith literature. 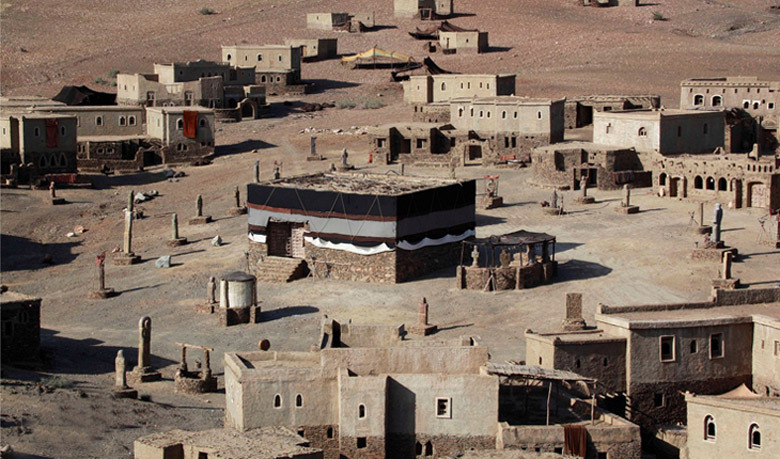 He passed away in Madinah less than three months after the conclusion of the pilgrimage and as such, Hajjat al-Wida is generally considered to have been the culmination of his life’s work. 1 How many times did the Prophet ﷺ perform Hajj? 2 How many times did the Prophet ﷺ perform Umrah? How many times did the Prophet ﷺ perform Hajj? The Prophet performed Hajj three times. He performed Hajj twice before his emigration, and he performed one Hajj after he emigrated, and these were accompanied by Umrah.1Al-Tirmidhi, Hadith No. 815. It is narrated from Abdullah ibn Abbas I that the Prophet ﷺ performed Hajj three times before the migration, after his announcement of prophethood. 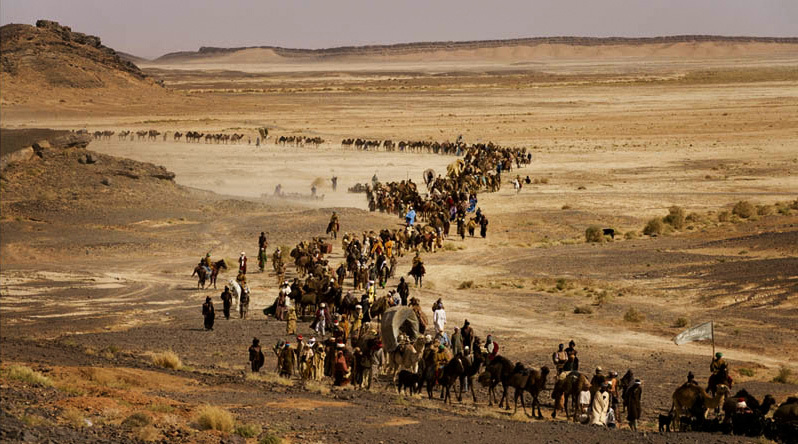 Sufyan al-Thawri I relates that the Prophet ﷺ carried out many pilgrimages before the migration. The Prophet ﷺ performed Hajj every year prior to the migration, never missing the Hajj once whilst in Makkah. Even during Jahiliyyah, the Quraysh never failed to perform the pilgrimage. Only those who weren’t present in Makkah or were sick missed it. Therefore, if those from the pre-Islamic era never missed the Hajj and saw it as their distinction over others, how can we accept that the Prophet ﷺ ever missed the Hajj? Especially when it is proven from the Hadith of Jubayr ibn Mut’im I that during the era of Jahiliyyah he witnessed the Prophet ﷺ standing (performing Wuquf) at Arafat. How many times did the Prophet ﷺ perform Umrah? After the migration, the Prophet ﷺ performed four Umrahs. He adorned the Ihram for all of them in the month of Dhul Qadah, performing three of them during that month. The other was performed in conjunction with his Hajj in the month of Dhul Hijjah. The Messenger of Allah performed Umrah four times: The Umrah of Hudaibiyah, the Umrah to make up for (the one not completed previously), the third from Ji’ranah and the fourth that he did with his Hajj.2Ibn Majah, Hadith No. 3003. In 6 AH, the Prophet ﷺ and his companions journeyed to Makkah with the intention of performing Umrah. As he came to Hudaibiyah on the western edge of the city, he was prevented from entering by the Quraysh. To prevent any bloodshed, a peace agreement, known as the Treaty of Hudaibiyah, was made with the Meccans. Under the terms of the deal, the Muslims had to return to Madinah, but were authorised to enter Makkah the following year in order to perform Umrah. Following the negotiations, the Muslims offered their sacrifices, shaved their heads and left the state of Ihram before returning to Madinah. In 7 AH, the Prophet ﷺ returned to Makkah in accordance with the agreement he had made a year earlier, and performed Umrah with his companions, remaining there for three days before returning to Madinah. It is known as Umrat al-Qada (Arabic: عمرة القضاء; “The Fulfilled Umrah”) or Umrat al-Qisas (Arabic: عمرة القصاص; “The Umrah of Retribution”). In 10 AH, he performed Umrah in conjunction with Hajj. He entered into the state of Ihram at the end of Dhul Qadah and performed the Umrah in the month of Dhul Hijjah. Before the journey, the Prophet ﷺ had lived in Madinah for 10 years and had not yet performed Hajj following his migration, although he had performed Umrah on three previous occasions. 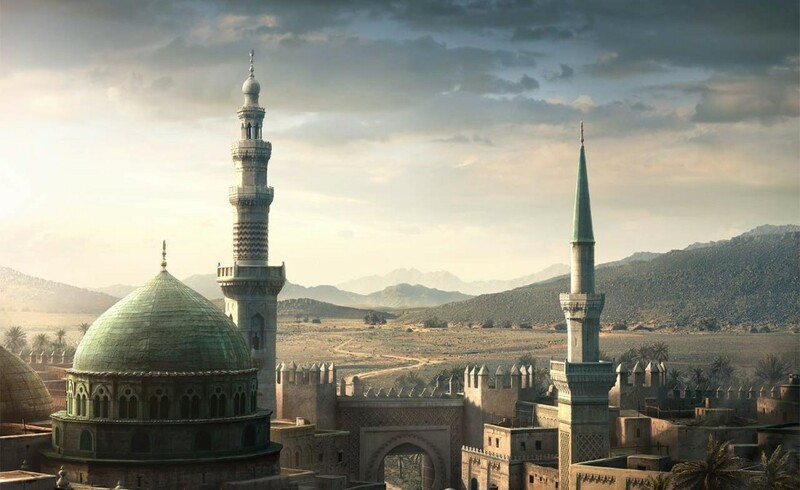 In 8 AH (630 CE), he had amassed enough religious and political authority to gain victory in Makkah, the city where he was born and where he suffered much persecution at the hands of its inhabitants. He destroyed the idols in and around the Kaaba and rededicated it to the worship of one God, as was its intended purpose. After Makkah had been conquered and the Prophet ﷺ had returned victorious from the Battle of Tabuk, his final expedition, Arab tribes from all over the peninsula came forward to accept Islam at the hands of God’s messenger and offer their allegiance to him. They were warmly welcomed by the Prophet ﷺ who in turn taught them about the religion. Impressed with his eloquence and wisdom, the Arabs returned to their homes calling on their townspeople to accept Islam and denounce idolatry. The Prophet ﷺ remained in Madinah making himself available to meet those delegations that continued to pour in during 9 AH (630-31), a year which came to be known as the “Year of Delegations”. Practically the whole of Arabia now owed loyalty to the Prophet ﷺ following this period. [This is a declaration of] disassociation, from Allah and His Messenger to those with whom you had made a treaty among the polytheists. So travel freely, [O disbelievers], throughout the land [during] four months but know that you cannot cause failure to Allah and that Allah will disgrace the disbelievers. And [it is] an announcement from Allah and His Messenger to the people on the day of the greater pilgrimage that Allah is disassociated from the disbelievers, and [so is] His Messenger. 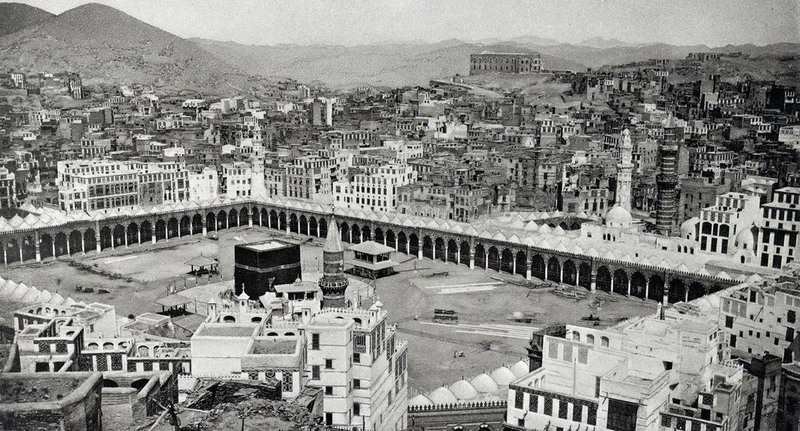 During that Hajj (in which Abu Bakr was the leader of the pilgrims), Abu Bakr sent me along with announcers on the Day of Nahr (10th of Dhul Hijjah) in Mina to announce: ‘No pagans shall perform Hajj after this year and none shall perform the Tawaf around the Kaaba in a naked state.’ Humaid ibn Abdur Rahman added: ‘Then Allah’s Messenger ﷺ sent Ali ibn Abi Talib (after Abu Bakr) and ordered him to recite Surah al-Tawbah aloud in public. Abu Huraira added: ‘So Ali, along with us, recited Surah al-Tawbah loudly before the people at Mina on the Day of Nahr and announced: ‘No pagan shall perform Hajj after this year and none shall perform the Tawaf around the Kaaba in a naked state. '4Al-Bukhari, Hadith No. 369, 1622 & 4655; Muslim, Hadith No. 1347. It appears that the Hajj led by Abu Bakr al-Siddiq I and Ali ibn Talib I in 9 AH was a form of preparation for Hajjat al-Wida, which was carried out by the Prophet ﷺ the following year. The Messenger of Allah ﷺ stayed in Madinah for nine years during which he did not perform Hajj. It was then announced among the people that he was going to perform Hajj this year. Many people came to Madinah, all of them hoping to learn from the Messenger of Allah ﷺ and to do as he did. The Messenger of Allah ﷺ set out when there were five days left of Dhul Qadah and we set out with him. 6Muslim, Hadith No. 1218; Ahmad, Hadith No. 14440; al-Nasa’i, Hadith No. 2740 & 2761. 1. ↑ Al-Tirmidhi, Hadith No. 815. 2. ↑ Ibn Majah, Hadith No. 3003. 4. ↑ Al-Bukhari, Hadith No. 369, 1622 & 4655; Muslim, Hadith No. 1347. 6. ↑ Muslim, Hadith No. 1218; Ahmad, Hadith No. 14440; al-Nasa’i, Hadith No. 2740 & 2761. The Prophet ﷺ left Madinah on Friday the 24th of Dhul Qadah and journeyed for eight days before arriving in Makkah, reaching the city on Saturday the 3rd of Dhul Hijjah.